Suitable for the Mason knit Jacket, Estelle Ponte Jacket and the Harper Jacket. 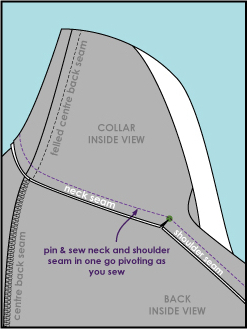 Sew the centre back body seams followed by sewing the centre back collar seams together, we suggest a Felled or French seam as the collar seam is visible from both sides when worn. 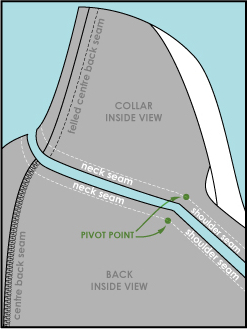 Clip into the seams at the pivot point, be careful not to clip in deeper than the seam allowance. 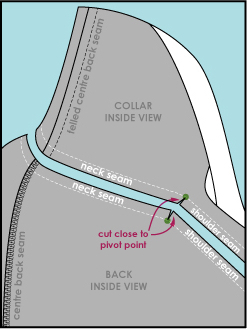 Sew the front and back shoulder seams together, start at the armhole edge and stitch until arriving at the pivot point, with the needle down turn the corner and continue sewing the collar to the back neckline. 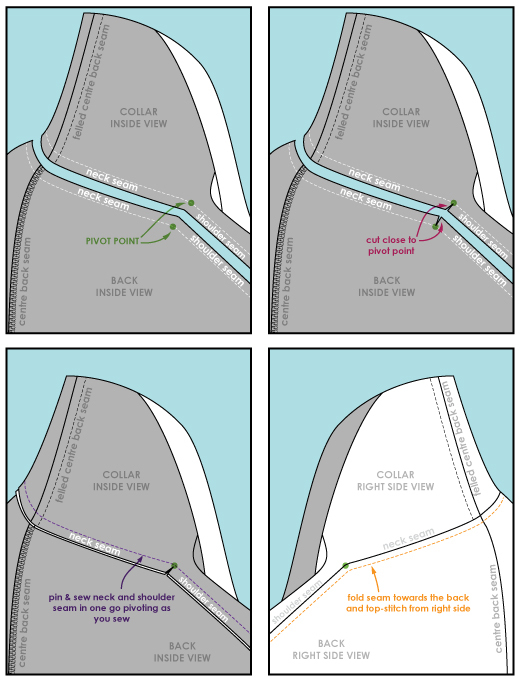 Optional top stitch. 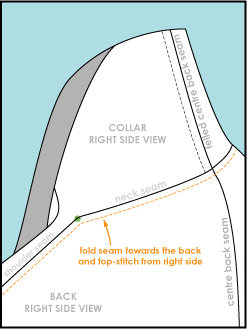 Press the back neck and shoulder seams toward the back and sew a top stitch along the shoulder seams and around the base of the back neck. ← A special offer for January 2018 and FIVE new sewing pattern styles!